Proximity card badge holders are used by employees who require special care and treatment of their proximity cards. Because of the high-tech nature of their design and their high cost-per-card, proximity badge holders are the best means of carrying cards while protecting this valuble asset. 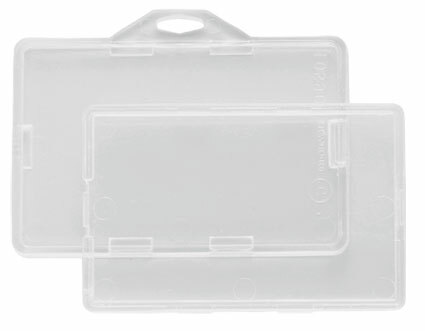 Clear vinyl proximity badge holders provide both protection and functionality. 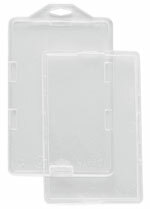 When used with strap clips or other strap attachments, the straps thread through the slots in the proximity card holder effectively "locking" the card into the badge holder. Note: Strap clip or lanyard "locks in" card.